I get that, I really do. But your employee’s happiness isn’t just personal because a disengaged, frustrated employee brings everyone down to some degree. Their energy affects everyone around them because emotions are contagious. Reality tells us that positive employees turn the energy up in the room and everyone else drains that energy. Can we afford that? But what do I mean by “happiness”? I define happiness as positive emotional energy. We can all wrap our minds around that. And the fact is, high performance requires boatloads of positive emotional energy. That’s why I say happiness fuels performance: Passion, meaning, purpose, curiosity, fulfillment, human connection and collaboration, self-esteem, self-value, and self-confidence, determination, and more. I think happiness is one of the most misunderstood and neglected subjects when it comes to performance at work or in life overall. Why do I say that? If I don’t feel happy about my work, my company, or the team I’m on, how in the world will discipline, willpower or drive save me from that? And where is my discipline, willpower, and drive supposed to come from? Am I supposed to just buckle down and stay the course when that course is only making me want to find another job? 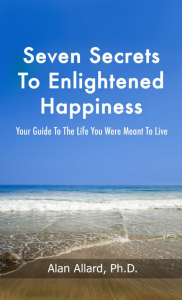 It’s time we educated ourselves as to what happiness is, how we can develop it and how we can tap into it for sustained performance. It’s time we discovered how to master our own happiness because it’s the fuel for our performance. How are we going to learn how to tap into happiness to fuel better performance? A book will help. An audio course will help. A workshop will help. But if we continue to ignore the role of happiness and think, “Just do your job,” we’ll continue to misunderstand human motivation. Are your employees (or you) already happy? Then it's time to take it to the next level. 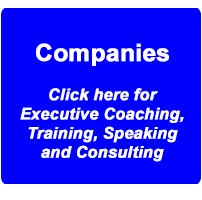 If you want to talk with me about how we might work together at your company or talk to me about executive coaching, let’s start a conversation: www.alanallard.com . The homepage addresses sales and sales organizations, but my work isn’t limited to that. Let’s talk.